Ļoti izplatīta vidēju izmēru (3-15 cm) viengadīga piepe, kura aug uz lapukoku celmiem un kritalām un atrodama cauru gadu. Neēdama. 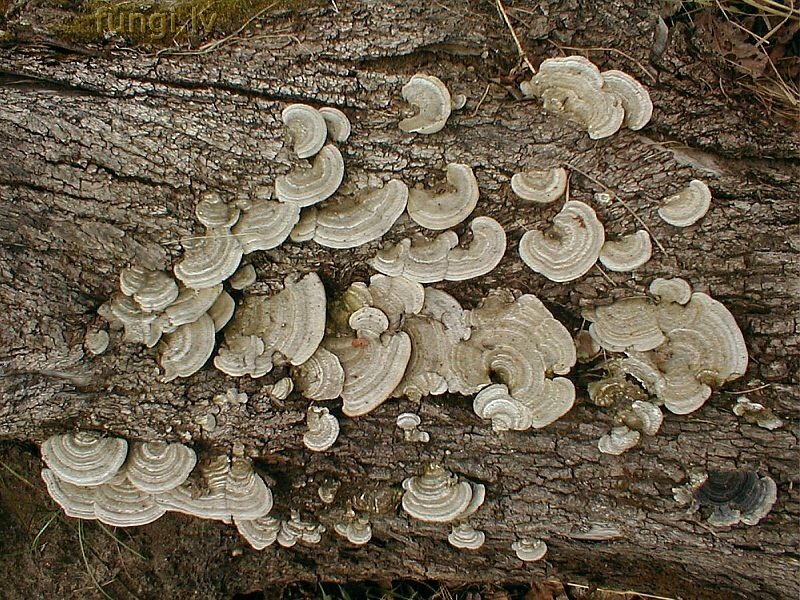 The diameter of this fungus usually varies from 3 to 15 cm. Spore powder is white or yellowish. 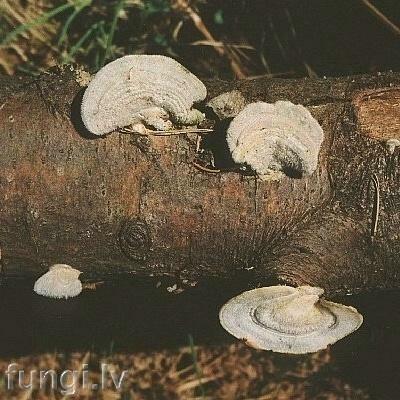 This white bracket fungus has soft surface with short bristles. One can find it all year round. The fruit-body lasts only for a year. It grows on dead trunks and branches of deciduous trees. It is very common in Latvia. Inedible.